COPAC will co-host the UN observance of the 2016 International Day of Cooperatives on 11 July 2016 from 1:15pm to 2:30pm at UN headquarters in New York, during the High-Level Political Forum on Sustainable Development. 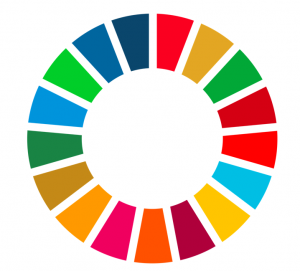 The event will focus on cooperatives’ innovative approaches to implementing the 2030 Agenda, by exploring the contributions of cooperatives to sustainable development in countries around the world and showcasing examples of innovation in achieving the SDGs. Among the speakers are high-level officials from Botswana, Italy, and Mongolia, COPAC member organizations, the World Bank Group, and civil society actors engaging with cooperatives. View the full programme here. Participants in the event will also have the opportunity to view COPAC’s photo exhibition, “Cooperatives: The power to act for a sustainable future”, which is on display at the UN until 20 July. View the exhibition book here. In addition to COPAC, hosts of the event are the Permanent Mission of Italy to the UN and the Permanent Mission of Mongolia to the UN. Want to attend? Send your RSVP to Fran McCrae, COPAC Coordinator, at copac@copac.coop.